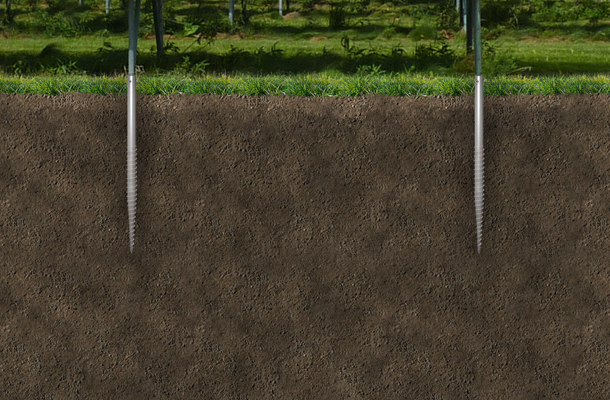 The krinner ground screw foundation provides a quicker, more efficient, and sustainable alternative to concrete foundations. Concrete-free innovation: no digging, excavation, wet trades, or curing time, which means no wait, and no delays! Long-lasting, with consistent and reliable performance: our ground screw provides a guarantee of 20 years and have been successfully tested to 30 years’ lifetime in the ground, with an overall life span of up to 50 years. For real examples of how the ground screw foundation has been used in a number of projects in the UK, including two of the country’s largest ground mounted solar farms, please visit our case study area.